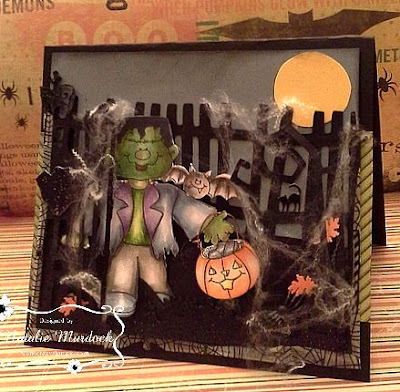 I love creating Halloween scenes. An easel shaped card is the perfect platform to do so! 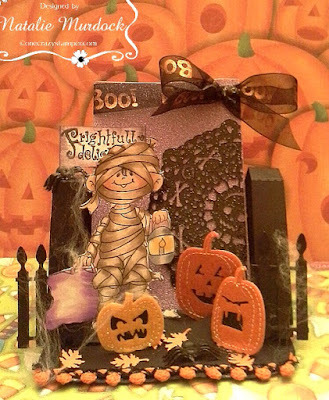 This little trick or treator is as cute as can be! Coloured with Copics and fussy cut. 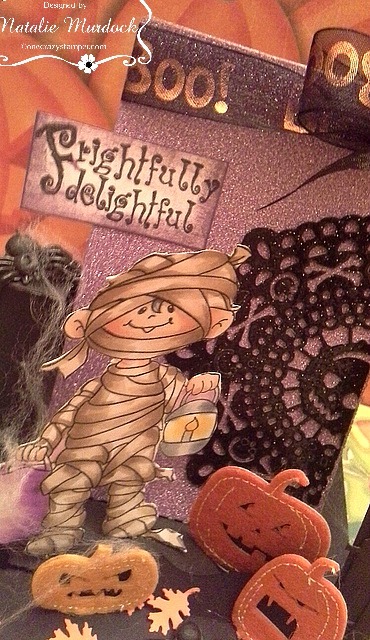 The image is from High Hopes called Mummy and you can find this little guy here! 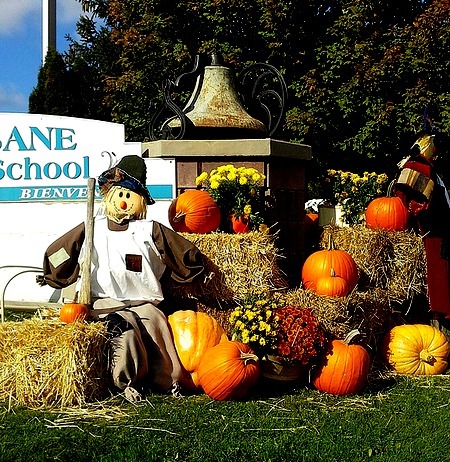 I took this picture last year of a school in Erin Ontario. I always make my husband stop so I can take a couple of pictures. I love the Fall Scene they create every year! Thanks For Peeking :) Hope you get time to craft today! 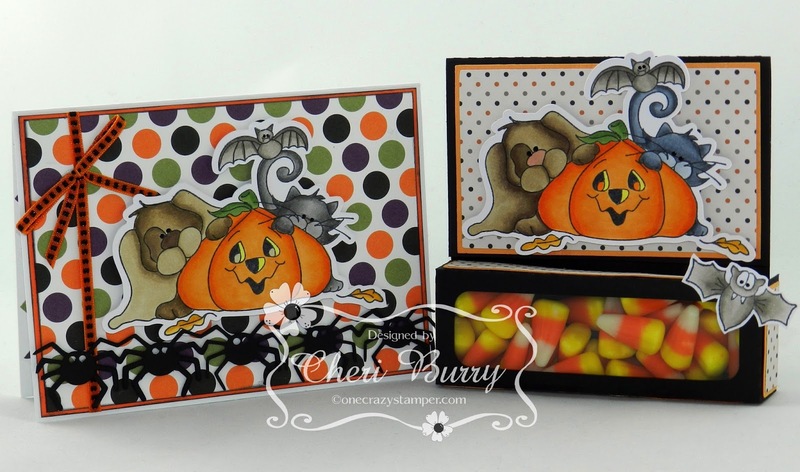 Rubber Stamps with our fun blog hop and challenge this month, We had fun looking at all the fabulous entries! We used random.org to choose the winner. #32 -- Tammy A. with her card called Scary Cat. Tammy, please email me at sberkley51 at gmail dot com to claim your prize. 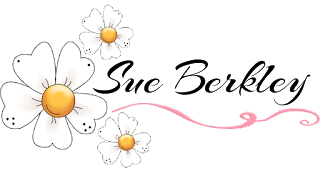 Check back tomorrow for our a brand new blog hop and monthly challenge the Divas from both OCS and High Hopes continue to celebrate the latest release "Joys of Seasons" from High Hopes Rubber Stamps. 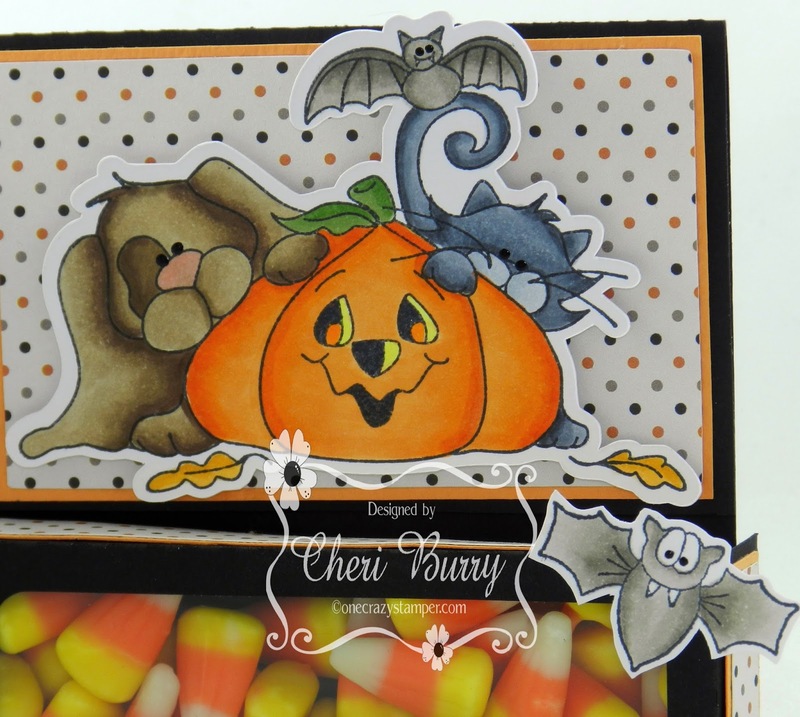 Hello crafty peeps, Halloween is right around the corner and a card so full of cuteness that it can't be considered spooky. I'm using pumpkin buddies from HH and some bo bunny frightful papers and embellies. I coloured this cutie up with copic markers, fussy cut and then layered on design paper. Have a super awesome crafty day! Y35, Y38,YR04, YR 07, G05, G07, G14. E04, E25, E29, E30, E31, W5, W9, N4, N6. Isn't he just the coolest Frankenstein? I think he is pretty cute. 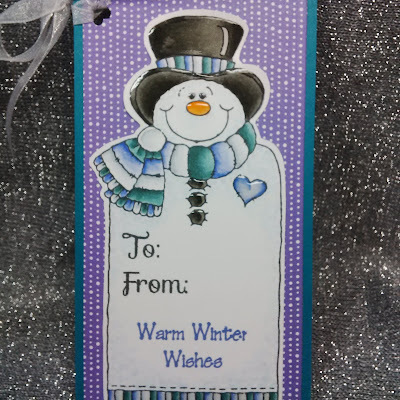 Thanks for joining me this morning for my next addition for our challenge here at One Crazy Stamper. 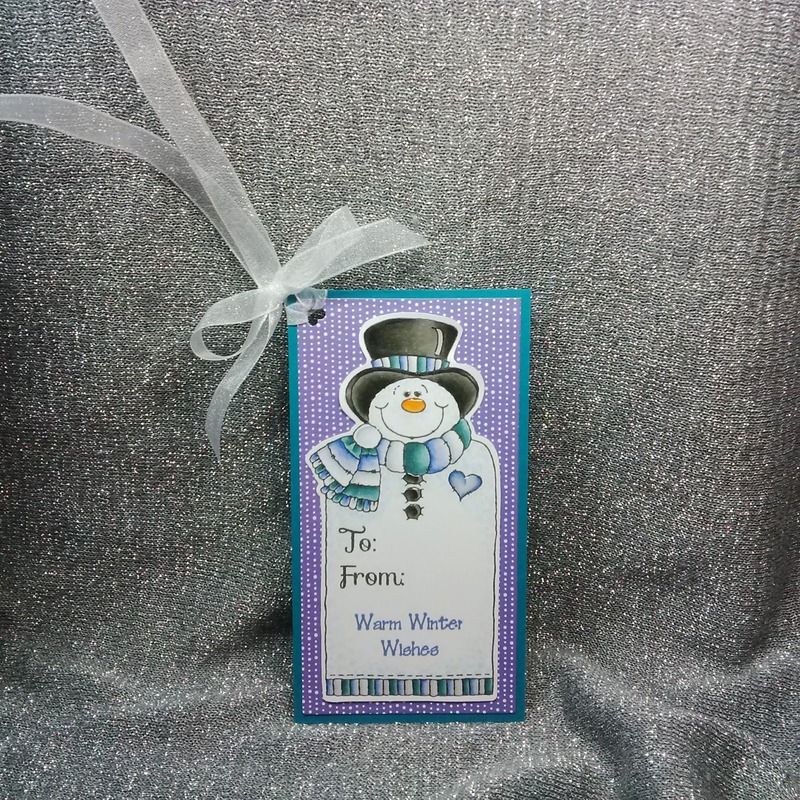 I am pleased that I get to create with wonderful ladies and create great cards. 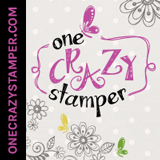 I hope you get a chance to see it all here at One Crazy Stamper and play along, or stop by Lora's store and pick up some wonderful supplies. Always great hearing from you too, so drop me a comment or two. Till next time Happy Crafting! 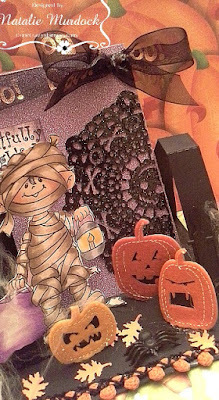 Supplies-Cardstock, Pattern Paper, Ribbon, Copic Markers, Square Dies, Rhinestones, Stamps-High Hopes Rubber Stamps-Frankie. So.....anyone up for a free ride on this adorable little witches broom? 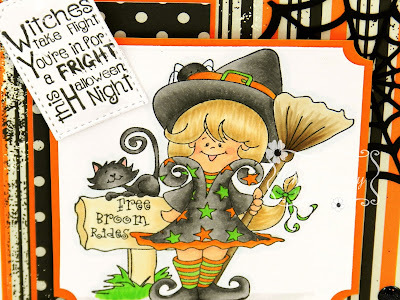 I'm using the super cute, newly released stamp called "Free Broom Rides". I love the little spider peeking over the top of her hat! I coloured her up with my Copic Sketch markers and added clear Wink of Stella to all the green and orange parts on her little outfit! 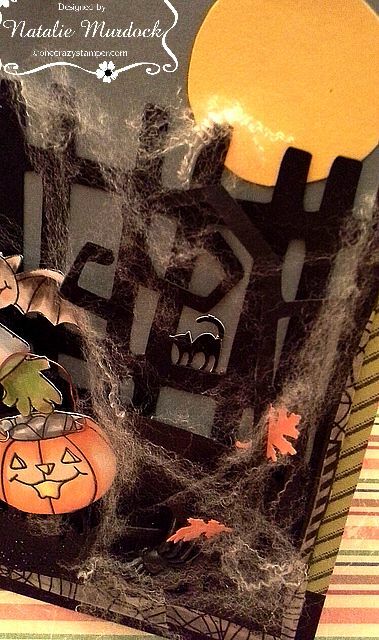 The paper I used was from my stash of Halloween themed paper. 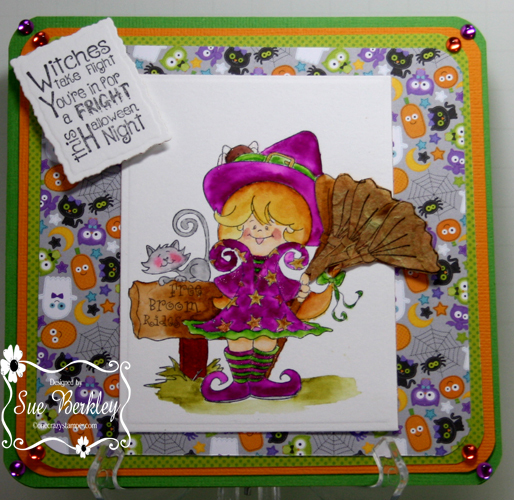 The "Witches Take Flight" sentiment was perfect for this image and I used a MFT Stitched tag to cut it out. 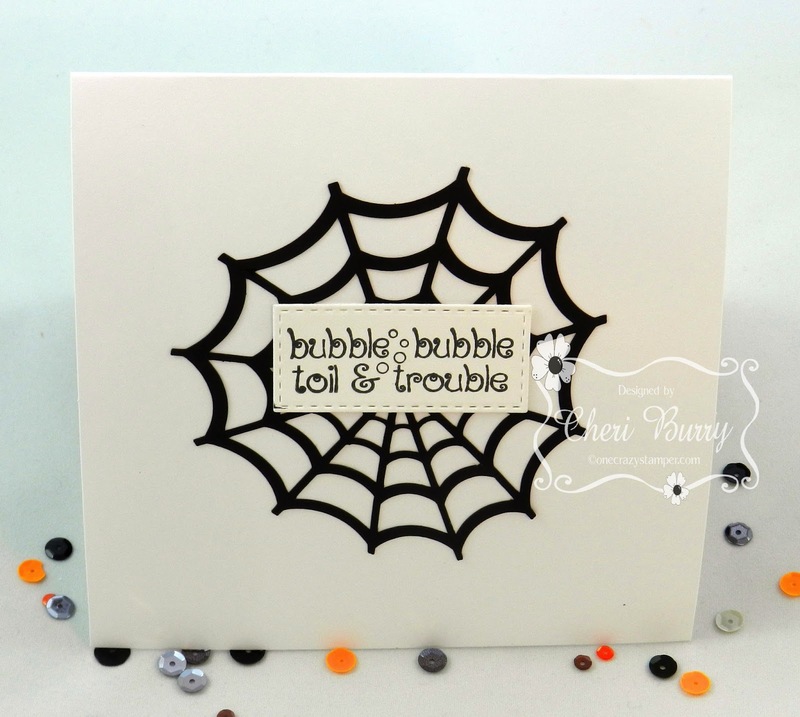 Some YNS black gumdrop, a spider web and a little pumpkin button were my embellishments this time. 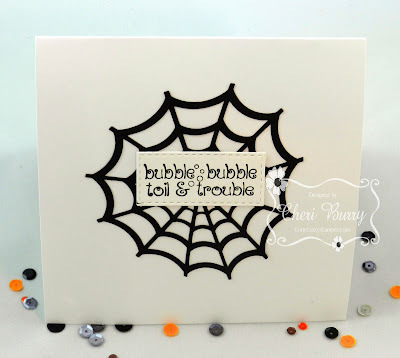 On the inside I used another spider web I cut out and the sentiment "Toil Trouble". You still have until the end of the month to enter into the OCS September Challenge called "Christmas, Fall or Halloween". I hope you get crafty and enter into our fun Challenge for a fabulous prize! I Sure hope you enjoyed today's post. This is such a fun image and can be used for so much more than just tags! I have colored the image with Copics, then added white highlights to the tree ornaments with a Sakura white glaze pen. The sentiment is available here at One Crazy Stamper, and after stamping it, I cut the words apart and randomly attached them to the card front. Fall is one of my favorite seasons and Halloween is a big reason why I love it! 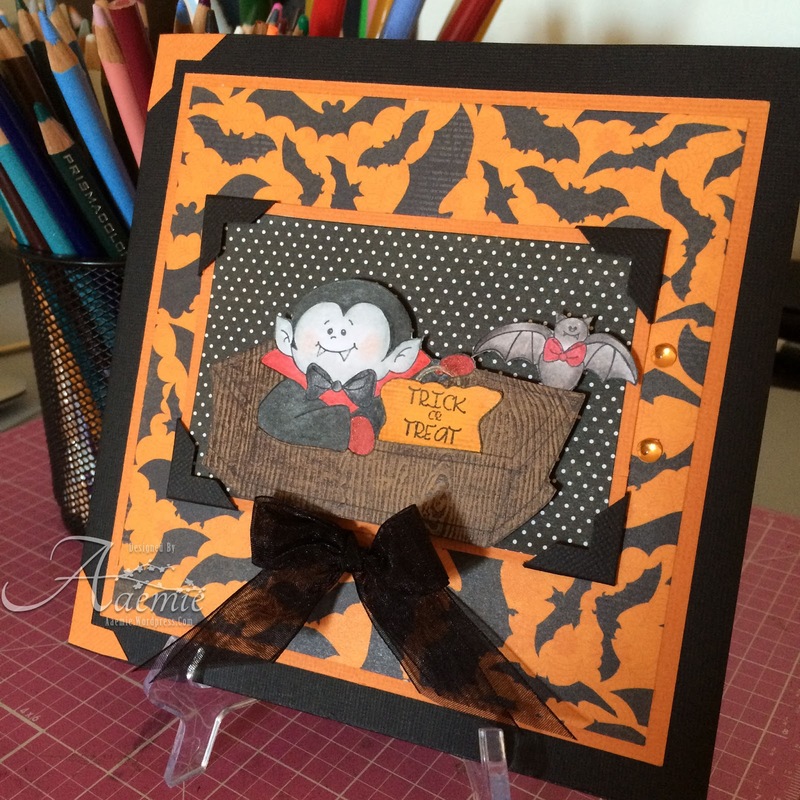 The big kid in me made this card just for fun! Coloured with Copics and lots of added cob webs for a true Halloween feel to this design! 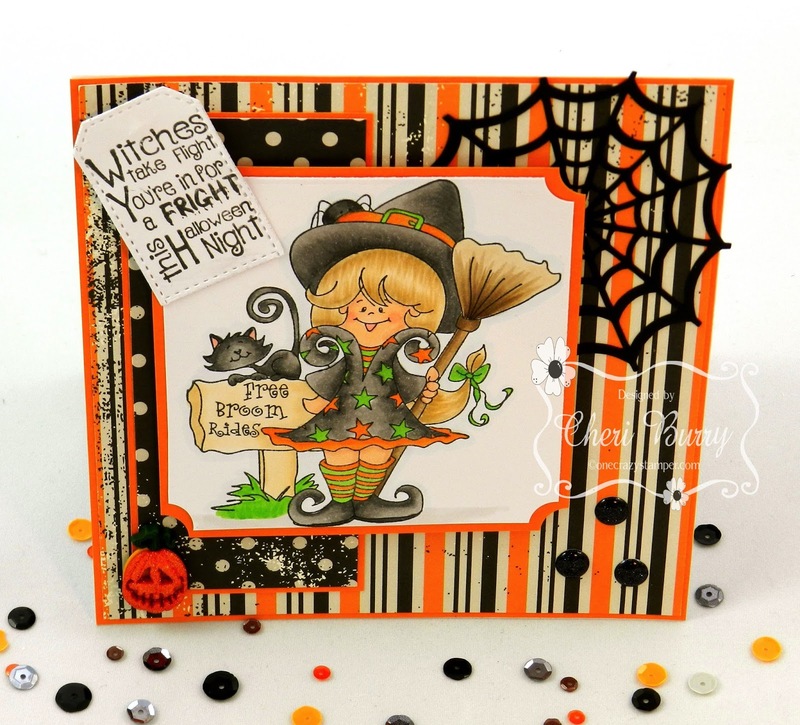 The stamped image is from High Hopes "Frankie" and can be found here! The pumpkin Frank is carrying actually started off in his other hand but wasn't working on this design so I cut it off and re-positioned it using wire as the handle! Here's a little more Halloween inspiration. 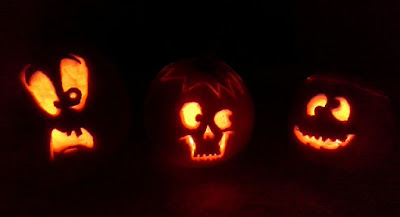 More of my carved pumpkin family! Hope to see you at |Scrapfest Richmond Hill this weekend! Happy Hump day is here again, and September is almost over and fall is here, and the grandchildren's hockey has begun. Winter will be here in a three months bring Christmas with it. Before we get there though Thanksgiving and Halloween are around the corner. For my post today for OCS, I have used this adorable stamp from the "Joys of Seasons" new release from High Hopes Rubber Stamps called, Free Broom Rides. I stamped part of the broom on some beige mulberry paper to add a papery effect. There are still a few days to enter this month's challenge for a chance to win a prize from OCS. If you nothing on this coming Friday and Saturday, do check out Scrapfest in Richmond Hill. Lora will be there with her OCS store and High Hopes Rubber Stamps. Hello Crafty peeps! 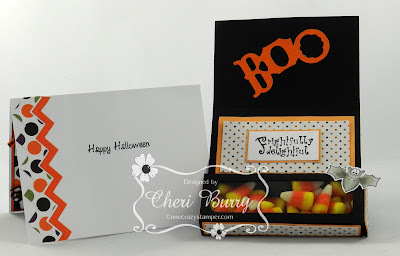 What a terrific Tuesday this is, Im sharing a creation using Vampire Treat from HH, and you can find him right here at OCS. 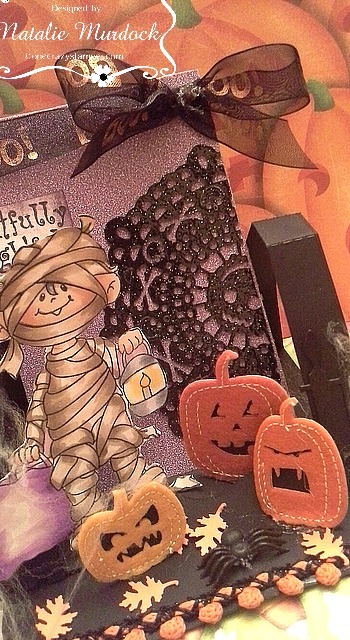 To create a wooden looking coffin, I used woodgrain cardstock and paper pieced that on to my image. I also coloured over the coffin with a dark brown Prisma, so that more of the woodgrain texture would show. Your turn to create something and enter our monthly challenge right HERE! Well so pleased you came back so I can show you my card for the wonderful challenge here at One Crazy Stamper, love this challenge blog. Today I am showing you my fun angel bear scarecrow, makes me laugh, and I love the birds the flowers all of it. I hope you get a chance to share the love with the team. As well stop by Lora's store lots of goodies for picking there. Till next time happy crafting! Supplies-Card-stock, Bo Bunny Pattern Paper, Thank You Die, Copic Markers, Large Pearls, Stamps-High Hopes Rubber Stamps-Angel Bear Scarecrow. Today for my OCS post I'm sharing with you the super adorable image called "Pumpkin Buddies"! 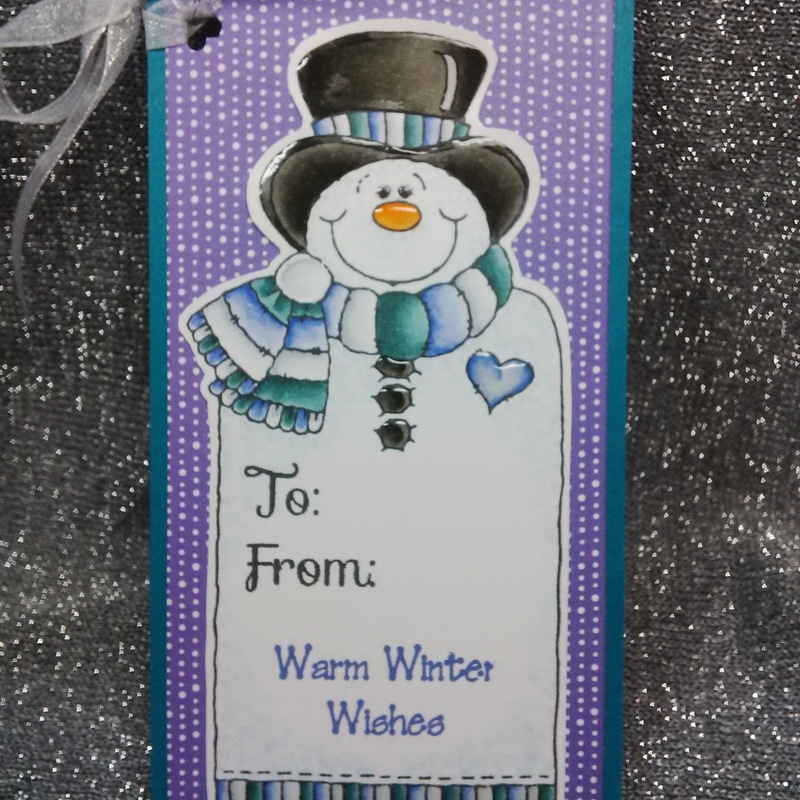 This new release from High Hopes Stamps called "Joys of the Seasons" is so adorable and so much fun to create with! For a little something different, I made the "Pumpkin Buddies" into an adorable little candy box for my Nephew and filled it with his favourite Halloween treat. 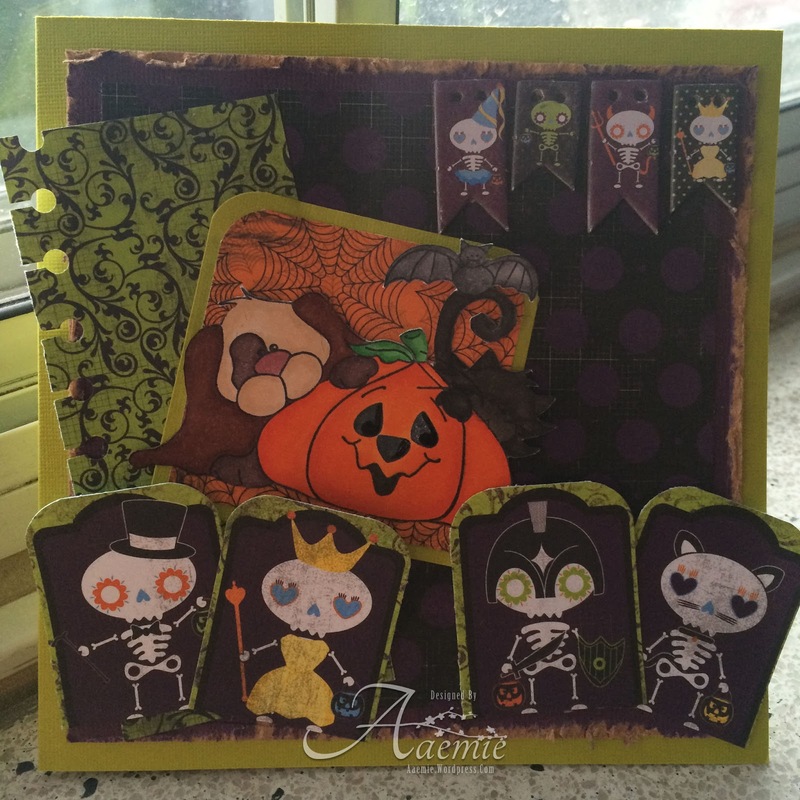 There is a little flip up section that I added the sentiment called "Frightfully Delightful" and used a set of small magnets to help keep it closed. I had to make a second card and kept the design simple with just a spider border and some ribbon. The sentiment on the inside is also from HH and is called "Simple Halloween". 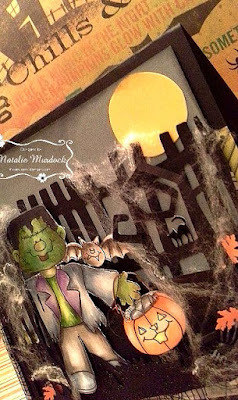 You still have time to enter into the September Challenge called "Christmas/ Fall/ Halloween". I can't wait to see what you create! From all of us -- Halloween Fun! Boil boil toil & trouble!